Late last week, while final preparations were underway in Philadelphia for the Democratic National Convention (DNC), one major deal was completed that frees locals and out-of-towners to get around the city more easily. Ridesharing companies such as Uber and Lyft temporarily got a nod of approval from the city to operate, although not without some financial strings attached. This move is expected to alleviate pressure on the city’s crowded streets while the circus of DNC antics comes rolling through this week. There is a public transit option, but the system has struggled with delays and crowded commuter rail service. It didn’t help when dozens of train cars were halted by a crack in their suspension systems recently. Ridesharing is a welcome alternative to passengers. With this 90-day deal, ridesharing companies are permitted to operate and for Uber that means the popular UberX option and UberPOOL group rides option. The deal does come with strings attached though. Ridesharing companies must pony up 1 percent of their gross receipts from fares that originate in Philly to the Philadelphia Parking Authority (PPA), the city’s transportation regulator. The money would be split with two-thirds going to the school district and the PPA keeping the rest. The PPA is just a crony public agency that plays one side against the other to its benefit. 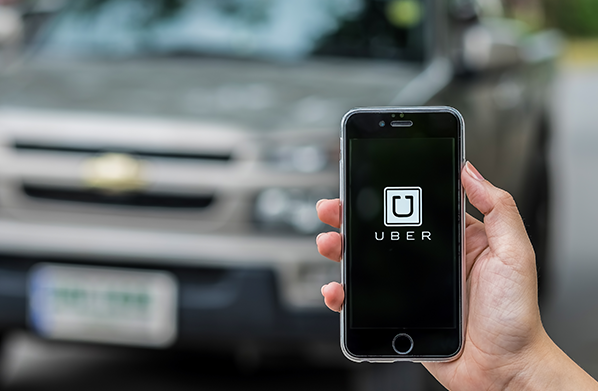 One news agency reported that PPA had conspired with taxi companies to keep ridesharing companies operating illegally prompting Uber to call it untrustworthy and urging the legislature take up the issue of ridesharing, which they did. Judge Linda Carpenter said the deal might be flawed, but she can't rule on it until after the 90-day reprieve. A new hearing was set for October 6. At the same time, taxi drivers who had previously threatened to strike during the DNC said they would stay behind the wheel. Opponents of Uber who say the company operates in the shadow of the law in Philadelphia were heartened by some of Carpenter's comments. Philadelphia is just one of many cities grappling with the choice and opportunity that technology spurs in the form of the sharing economy. Stuck in their outdated model of how the economy and workforce should work, established businesses and industries such as the taxicab commissions lobby elected officials to change the rules to keep out new companies, not because of safety or public health, but because they fear competition. Yet, in practice they want to regulate ridesharing and the sharing economy out of existence.Hillary Clinton has called for us to “crack down” on the gig economy if it doesn’t conform to the old model of the workplace. Ride sharing is not a good job to Clinton, but just a gig. This expose how out of touch she and many of her colleagues are. Yet, they must be a part of the 44 percent of U.S. adults who say they’ve participated in it. Let’s see if the convention goers notice the absence of real opportunity for ridesharing in their party’s platform while sitting in the back of the Uber taking them around town.